March is National Nutrition Month! Kick off the celebrations by learning about some veggies that you and your kiddos can grow together! 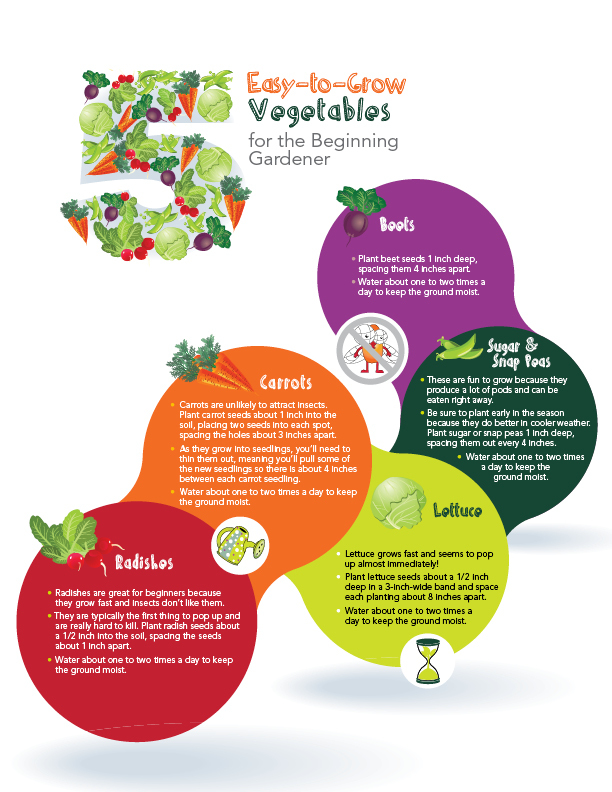 Growing these five vegetables is easy and it’s a great way to teach the little ones not only about eating healthy, but how to work together and wait patiently as they watch their little seeds transform into fully ripened vegetables. A healthy diet full of fresh veggies is just one way that we at The Children’s Courtyard Grow Fit™! Want some nutritious recipes that are kid-approved and packed with nutrients? Check out our recipes page here!